Over the years I have watched Katy, Texas grow up from the small town where everyone knew your name to where it is today. It’s been hard to watch, but it only means more fun is happening in this small-town suburb west of Houston, Texas. This summer we will be spending our days exploring Katy, Texas and I hope you guys will too. 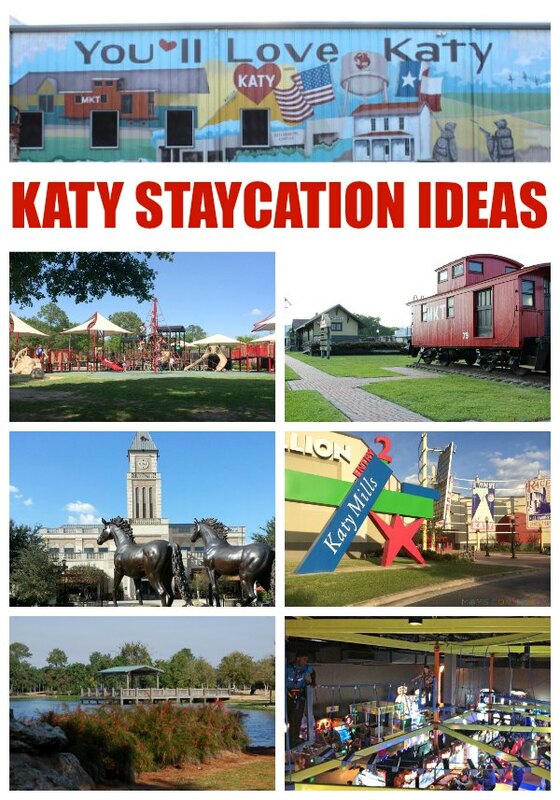 Check out these fun things to do in Katy TX and enjoy exploring Katy with your family! 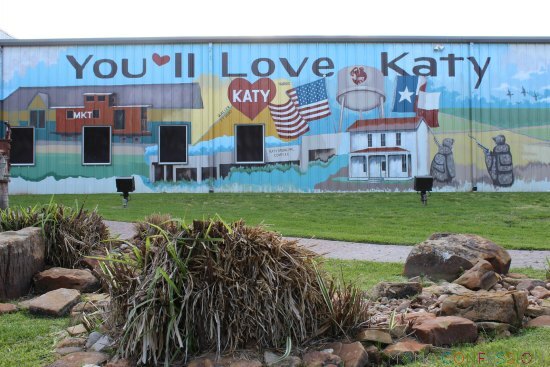 Katy, Texas will always have the small town atmosphere that I remember growing up. Even though the big city living is inching it’s way into town, there is still so much charm and fun that makes this town that I grew up in so great! 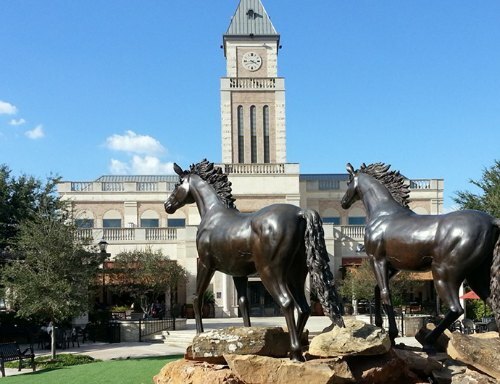 So let off some steam and cool off with these fun things to do in Katy TX. There is something your entire family can enjoy. 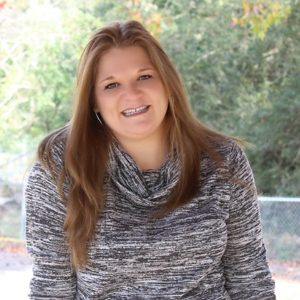 The Katy Playstation Park or as everyone in town call it…the Train Park is the state’s largest innovative playground for multiple-impaired and profoundly deaf children. It was built with every child in mind so they can all come out and play. There are ramps and swings for children with physical disabilities, as well as climbing equipment for those without. 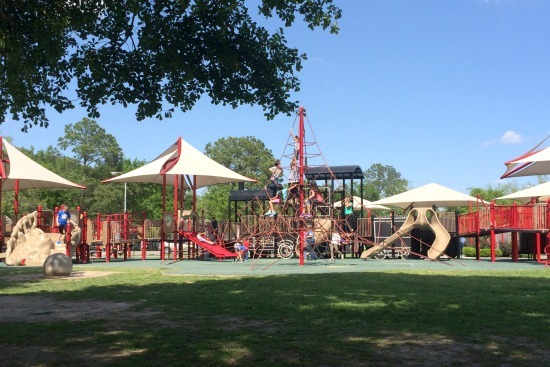 Every child can have fun at the Katy Playstation park! It really is a great place that is always filled with laughter and smiles! 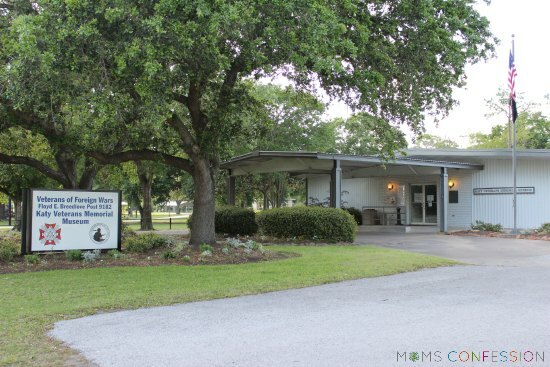 Explore a little military history at the Katy Veterans Memorial Museum, otherwise known as “The G.I. Joe Muesum”. Learn about every foreign conflict involving the United States all packed into one museum that is run by our military veterans. Without them, this museum would not be here for us to learn from, so please stop by, visit and learn something new. 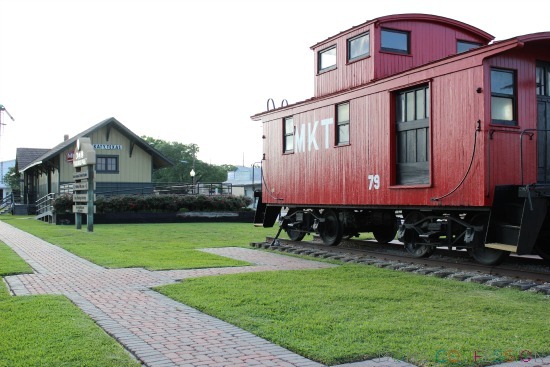 The MKT (Missouri-Kansas-Texas) Depot is a great place to visit and learn even more information about the City of Katy. The original depot was restored a few years ago and offers a great place to visit or simply stop by to grab brochures and maps of town. They even have original elements and explain how the Depot operated as a passenger rail service in Katy until 1957. It’s pretty cool that we used to have passenger service right here in our little town…wish I could have experienced that! Don’t you? 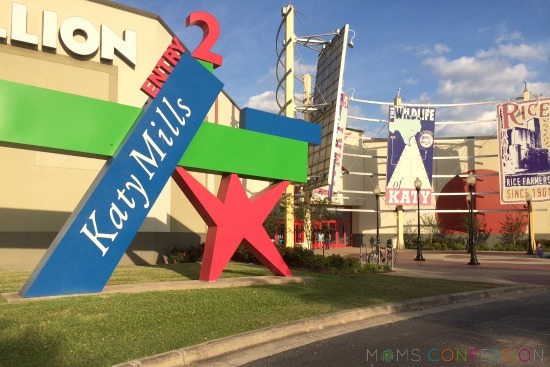 Shop until you drop at Katy Mills Mall! 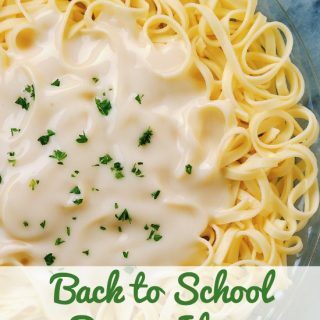 It’s filled with everything from high end stores like, Saks Off 5th and Coach (my favorite store) to stores where you can shop for less and still look great like, Ross and Marshalls! It’s a place for everyone to shop and offers deep discount prices since they offer outlet prices! 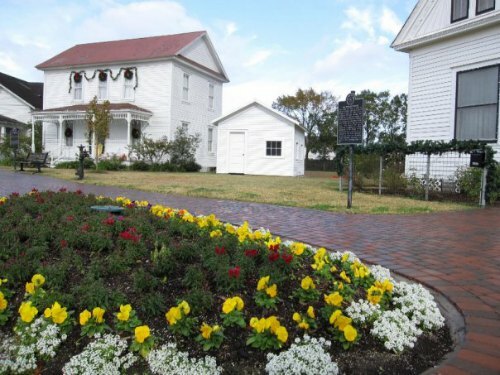 Learn about the early days of Katy by visiting the historical buildings at Katy Heritage Park. Teach children about the olden days when horse and carriage were the means of transportation and working the rice fields was a way of life. Enjoy a fun filled afternoon with friends at LaCenterra Pavilion. Parents and children can enjoy soaking up the sun in the fountains and have a tasty yogurt treat together. 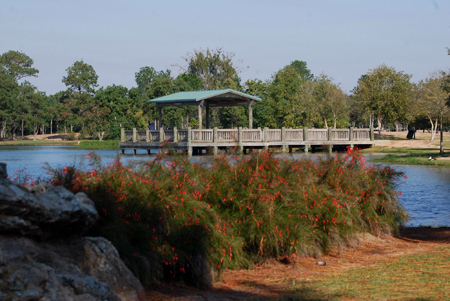 Pack a picnic and head over to Mary Jo Peckham park to enjoy a day of fishing, duck feeding, bike riding and even miniature golf. 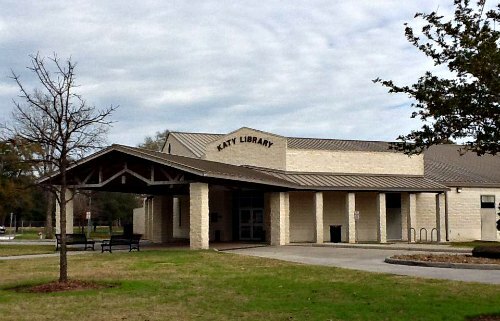 Stop by the Katy Public Library and engage your child’s mind with the free summer reading program as well as other kid friendly activities all summer long. 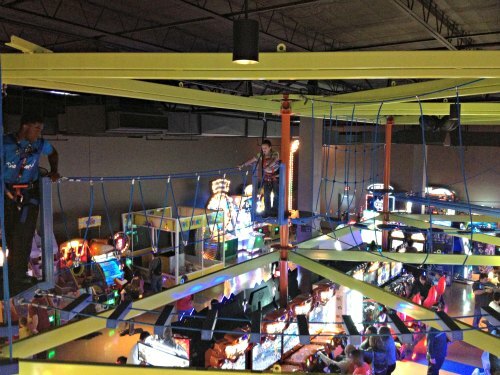 Cool off at Main Event enjoying a variety of fun and games…Gravity Ropes, anyone? Old Town Katy still has its charm, but it also offers plenty of fun for the entire family to enjoy.